Our volunteers get to hang out with these amazing members of our team and help our local community at the same time. We have many different ways you can volunteer that include helping our clients or just helping our horses. Make a difference by attending our volunteer training and orientation! 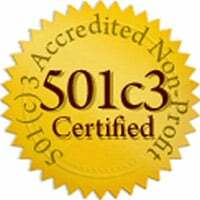 There is no obligation to volunteer if you attend our training and orientation. Open T.R.A.I.L. 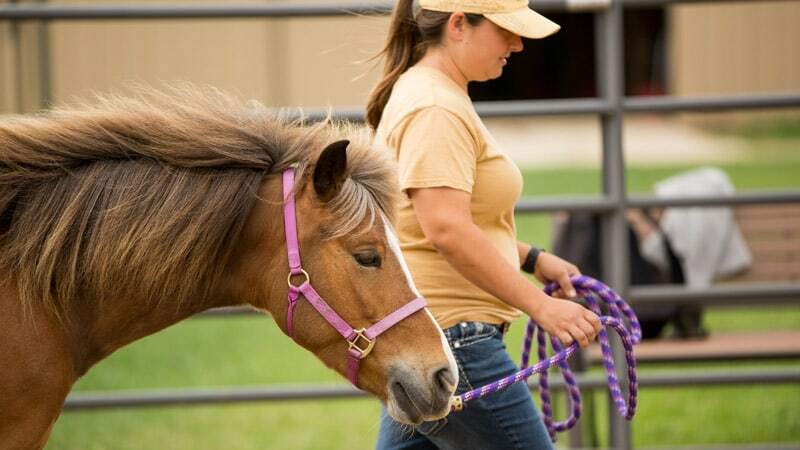 Ranch is a therapeutic horsemanship center located in Boerne, Texas for those with developmental and physical needs of all kinds. 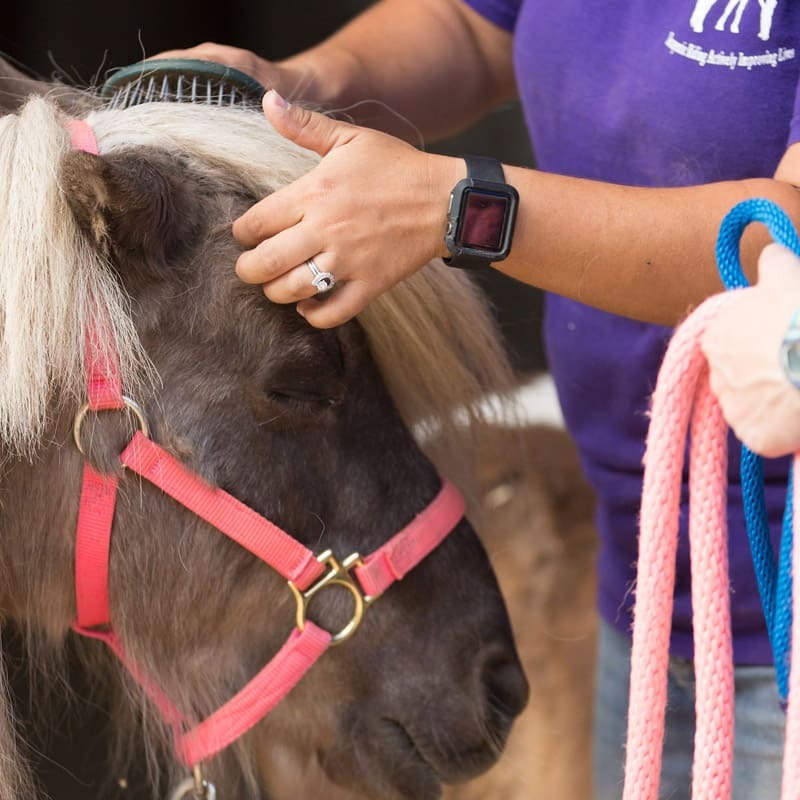 We provide equine assisted activities and therapies to children and adults with physical, cognitive, and emotional challenges in San Antonio, Boerne, and the surrounding areas. 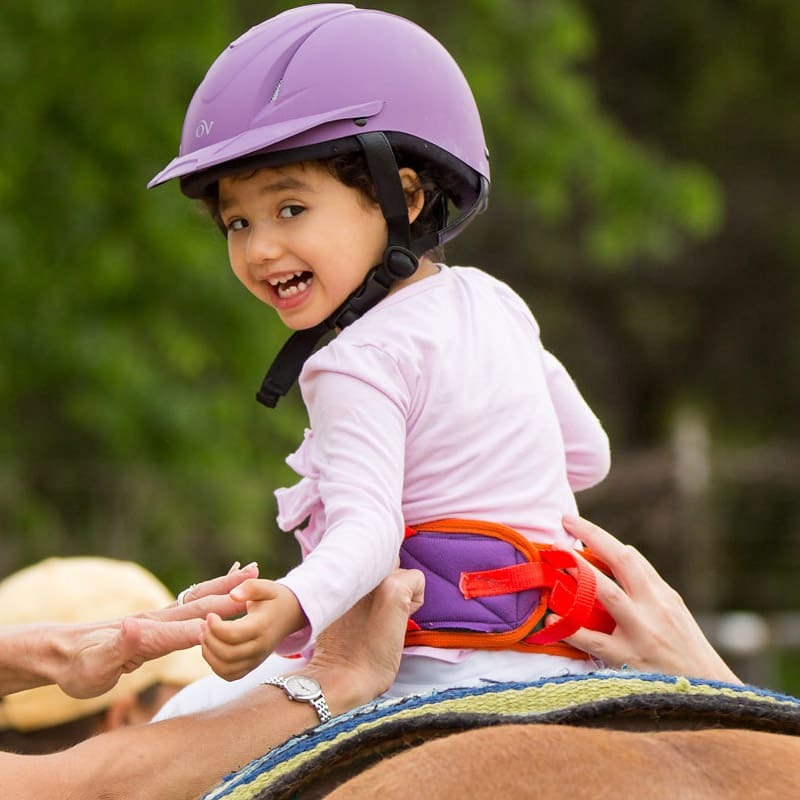 Our riders diagnosis include conditions and special needs such as Cerebral Palsy, Autism, Down’s Syndrome, ADD/ADHD, Fragile X, Multiple Sclerosis, Stroke, Developmental Delays, emotional and cognitive disorders, as well as speech, hearing and vision impairments. Our instructors are PATH certified, accomplished equestrians, and have extensive training to instruct riders with special needs. 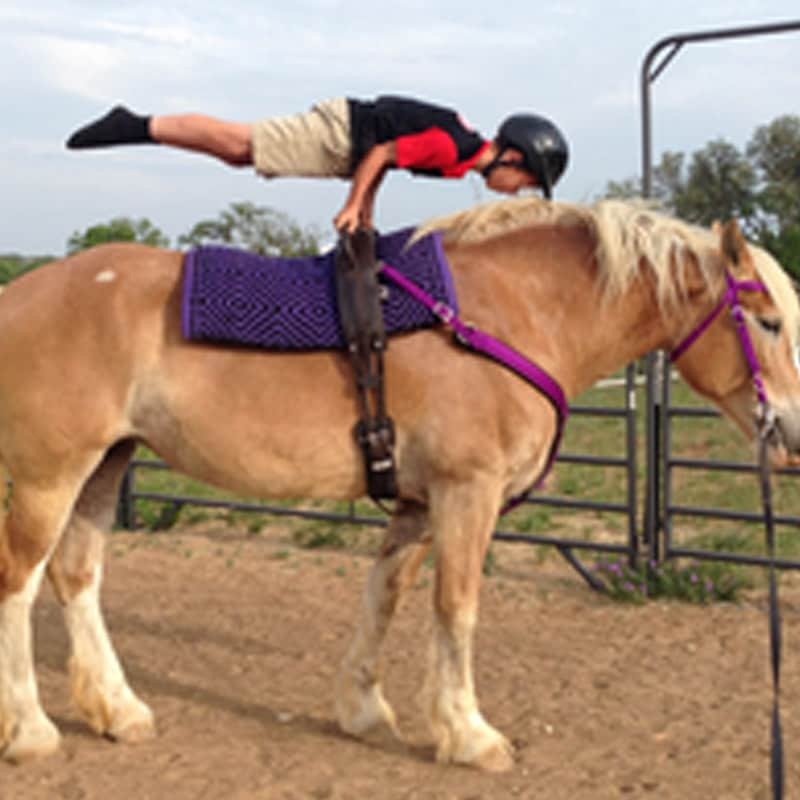 Our programs include Therapeutic Riding, Equine Facilitated Learning, and Vaulting. Open T.R.A.I.L. Ranch is located just North of San Antonio in Boerne, Texas. Our facility consists of over twenty acres of pasture, three arenas, three barns, and is ADA compliant. Come out and visit us! OTR is closed on all major holidays, and typically follows the Boerne ISD School Calendar as far as closures go. Please always check in by calling if you are unsure if we are open before stopping by for a visit! Yesterday North Park Subaru at Dominion dropped by to bring us this amazing gift! The Subaru Share The Love Event’s contribution will be making a difference for many years to come! Mind blown. North Park Subaru has been such a blessing to Open Trail! April 9th was an amazing and humbling day for us at Open T.R.A.I.L. Ranch! We celebrated the day with a Dedication and Ribbon Cutting Ceremony commemorating the Subaru barn! Thanks to the incredibly generous contributions from North Park Subaru at Dominion and the hard work of volunteers from Cibolo Creek Community Church, the final four stalls in the barn are complete! This new facility will provide so many new opportunities for students for years to come! Everyday, we continue to be amazed at the generosity of our community! Thank you! A very special thank you to Christina Ryrholm for providing us with these amazing photos! We know that it’s called #TransformationTuesday, not #TransformationThursday, but we just can’t wait any longer to show off the amazing work that Cibolo Creek Community Church did for us! These amazing folks came out and assembled our round pen, built us a new off mounting ramp AND completed the 4 remaining stalls in the barn! Just look at these pictures! Can you believe they did all of this in ONE DAY!? Generosity like theirs is what keeps our organization running and looking it’s best. Thank you so much to our amazing volunteers from Cibolo Creek Community Church! We are so grateful for your hard work on these vital projects! Beautiful! Can’t wait to see it on Saturday. We would like to thank everyone who supported Open T.R.A.I.L. Ranch during the Wheeler Big Win! Your generosity helps us to continue our mission! Congratulations to Andy Miller on winning the Grand Prize and we hope that everyone made sure to collect their T-Shirts! Make sure to Like our Page to receive updates about Open T.R.A.I.L. Ranch!We celebrated the end of the 2019 Big Win with a BANG! We are so excited to announce the drawing winner of the prize package valued at $5,000. Only 100 tickets left! Hurry and grab your raffle tickets for the Wheeler’s Big Win before they are gone! 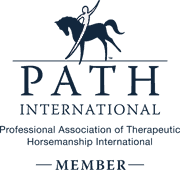 The Wheelers Big Win is an opportunity for you to Give Big and potentially Win Big! For just $20 you are entered in towards the $5,000 grand prize and you can redeem your ticket for a free T-Shirt! How does this help us? Every ticket purchased in support of Open TRAIL provides us with 100% of the profits from the sales! This is another huge local opportunity to help us raise donations! 400 tickets have already been sold in our name and they are going fast! Get yours before they are gone! A very huge thank you Mr.Mike Spell for giving our well house this very much needed makeover! It went from trash to treasure thanks to his hard work! Our well house is vital in winter to ensure we do not have problems with freezing! Want to volunteer your time to Open TRAIL? Send us a message and we would be happy to share our on going renovation projects and other volunteer opportunities with you! Saw this driving in today! Looks great! Kate Vasquez did you see the signs inside and outside? "I was paying an exorbitant amount of money for physical therapy and seeing no improvement and was experiencing poor self esteem. Since Open Trail Ranch, I look forward each week to visiting my horse and working to improve my body motions for the next week. I love it and would recommend Open Trail Ranch to anybody who is considering a change in therapy or to experience peace. I feel real again. Thank you."